This unique mortise door latch innovatively integrates the lever handle and escutcheon, creating a superior design that is safe, easy to use and aesthetically pleasing. 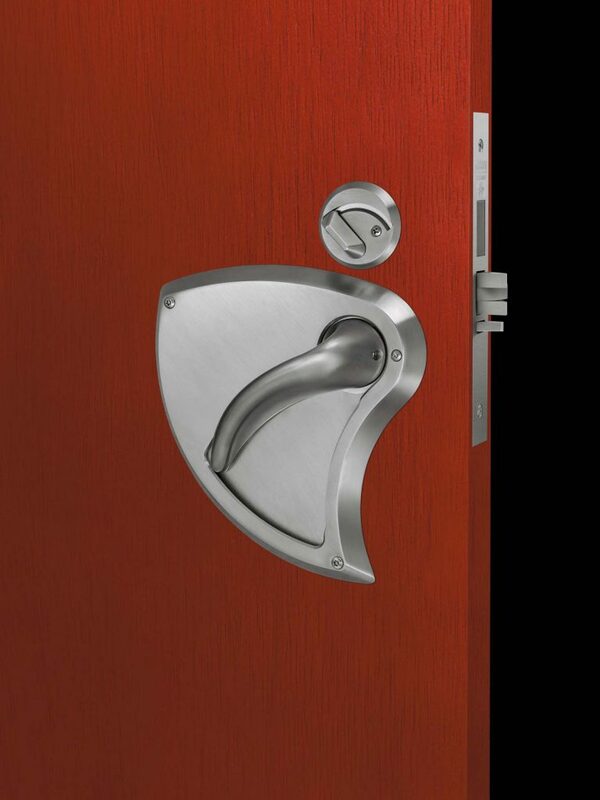 A seamless and cohesive sliding action is created by housing the lever handle and optional dead bolt thumb turn within the escutcheons plates, thus eliminating “tie off points” commonly associated with normal door handles. The DH510 is available in 36 functions, is Grade 1, is UL Listed, is ADA Compliant, and Patent Pending.